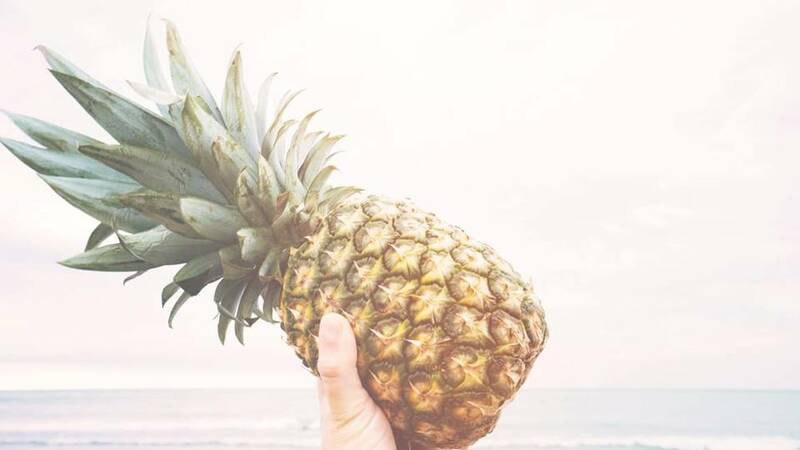 There isn't much discussion about Pineapple's magical properties, which is unfortunate, because not only are pineapples pleasantly delicious, they are also full of powerful and potent magical energy. Pineapple's are "the traveler's fruit," often used as a gesture of hospitality and to express warmth and welcome to friends, house guests, and those returning from travel. 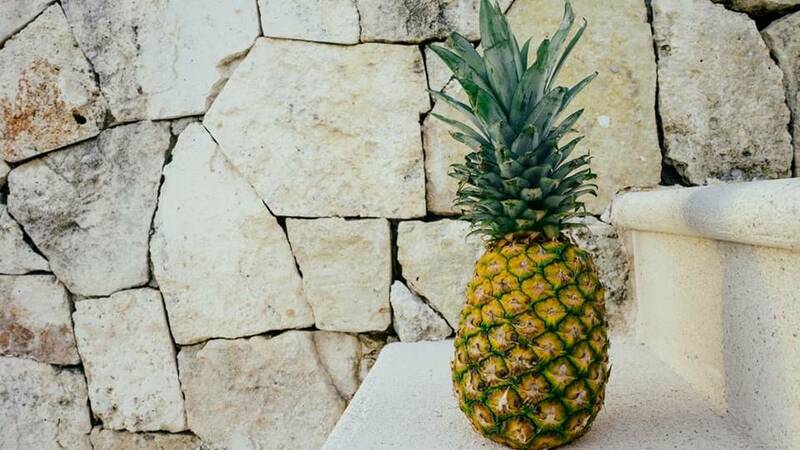 Pineapple's energy is associated with wealth, good fortune and good luck. Dried pineapple makes for excellent sachets and incenses that can draw wealth to the home and encourage financial gain. Fresh pineapple can be baked into cakes and desserts to gift to friend and bless them with good fortune. Pineapples are ruled by fire and the sun, and carries the energies of strength and power. Incorporate pineapples into charms for vigor and courage. Pineapples can increase spiritual power, and personal magical energy as well as strengthen psychic experience and intuition. 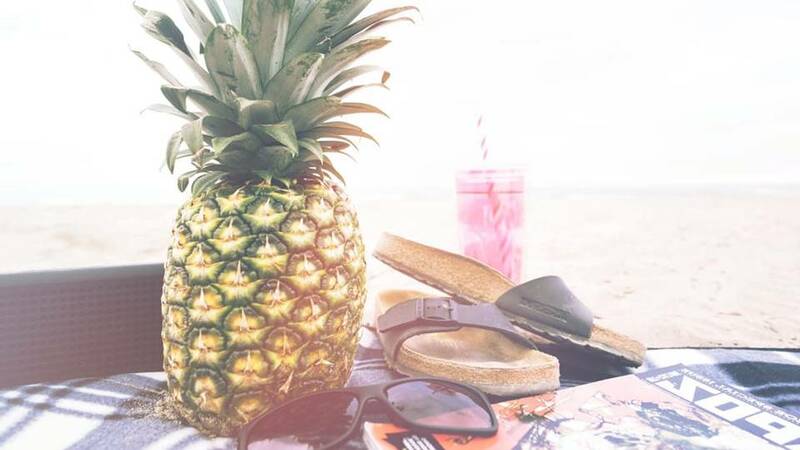 Pineapples can increase confidence and the chance of success. 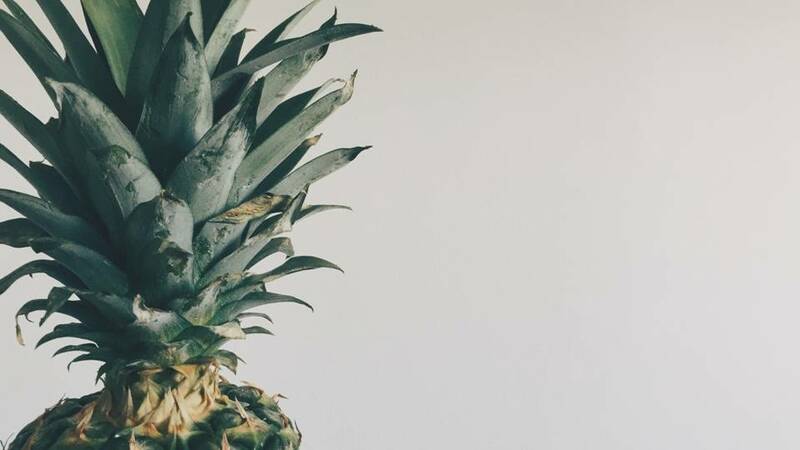 When looking to make achieving a goal easier, or a little bit of added self-assurance, consider pineapple. Pineapple's energy can strengthen will-power and self-esteem. Pineapples are associated with youthfulness, immortality and regeneration. 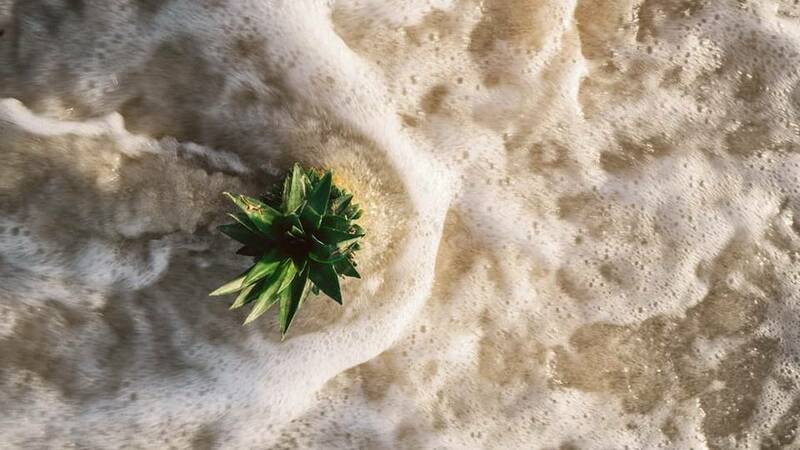 It is said that pineapple juice can cool lustful thoughts. Use pineapple to welcome a friend back from travel, as it is an emblem of hospitality. Serve pineapple at celebrations to encourage happiness among the guests. Pineapples baked into desserts and then shared with a loved one can encourage devotion, and shared with friends can strengthen the bonds of companionship. Pineapples are symbolic of hospitality and warmth. 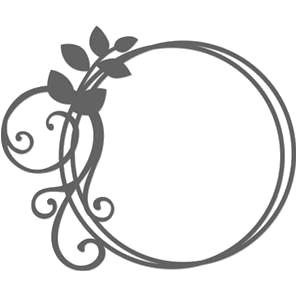 They express the sentiments of “welcome,” and have been used traditionally to decorate door knockers, quilts, and other objects that let a friend or guest feel well-received. This tradition gets its roots from the Eastern Seaboard and Southern areas of the United States. Due to the rarity of pineapples in the 18th century, their cost was quite expensive, and only the affluent could afford them. 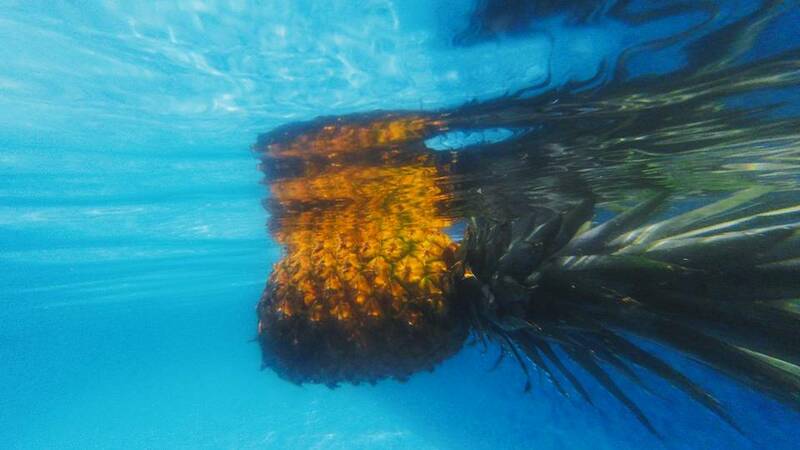 Wealthy hosts would often serve pineapples to guests to welcome them. Pineapples were also carved into buildings, mansions and government edifices to also convey this feeling. Practice caution when using pineapple leaves. They contain a high amount of Bromelian, which can irritate skin. When placing in a sachet, used leather as it can help protect against pineapple leaves’ caustic nature. Pineapple leaves are not edible, and can cause severe mouth pain when consumed, so do not ingest them. Don’t throw away the crown! Pineapple leaves can be used magically as they ward against jealousy, greed and envy. 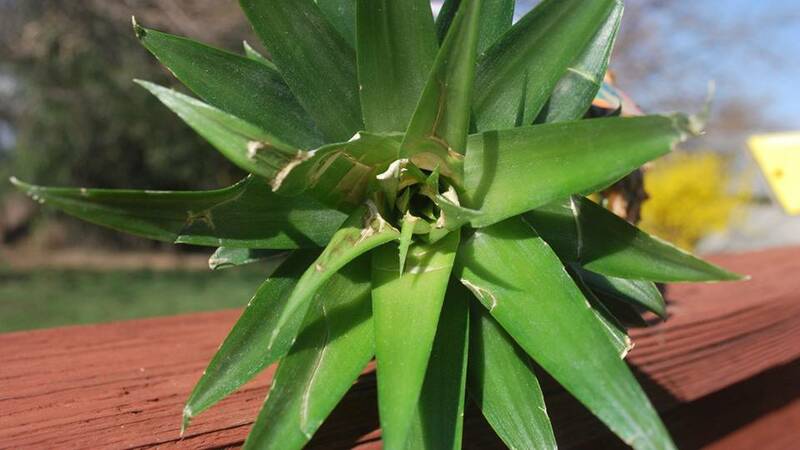 Use pineapple leaves to draw prosperity, growth and abundance to the home. 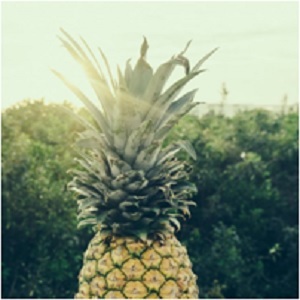 The pineapple crown can also be placed into the earth to draw these energies to the home, and within two to three years, will even spout a new pineapple, expressing the energies of growth and renewal. 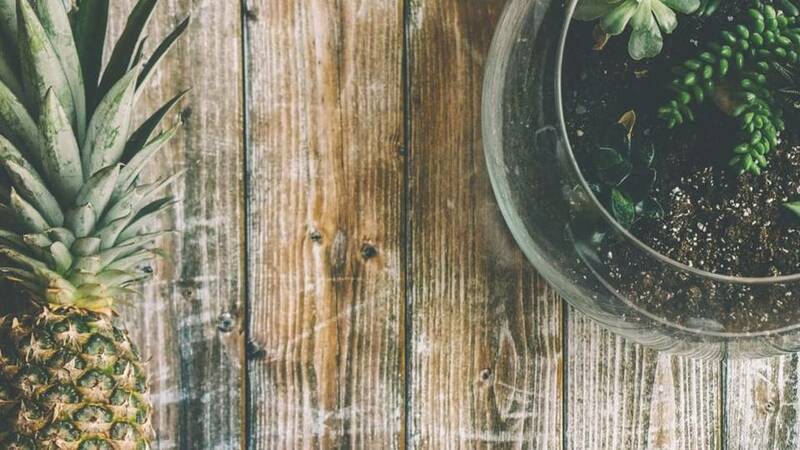 Pineapple’s crown makes an excellent and magical house plant, and this plant can be gifted to friends or loved ones to help them heal from past wounds and grievances or as a good luck blessing. Just as pineapple skin is strong and protective of the flesh within, it can also be used in protection magic. 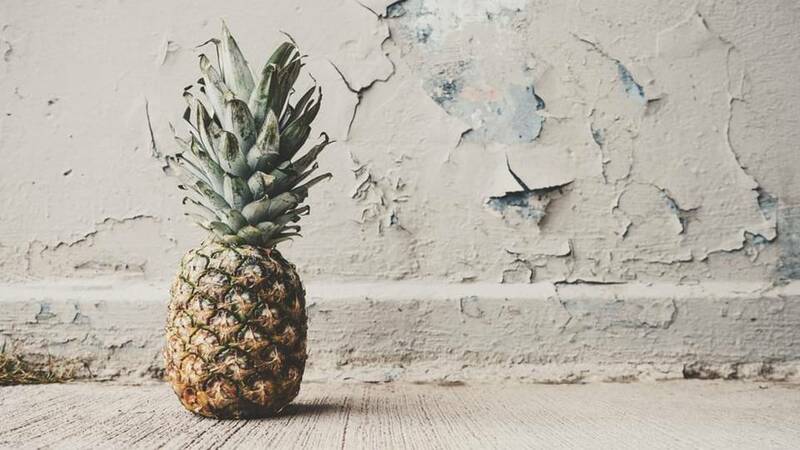 Pineapple skin is connected to energies of intimacy and emotion, creativity and sensuality. 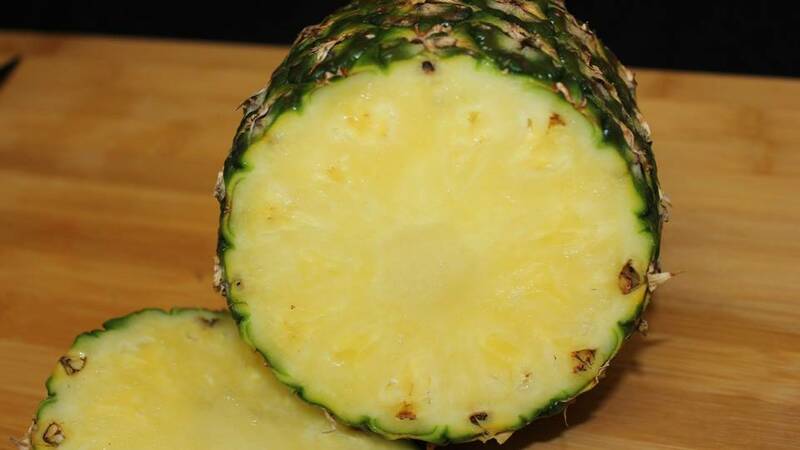 Pineapple skin is not poisonous, and can even be boiled and brewed into a healthy and beneficial tea. Pineapple skin has ingredients that can fight intestinal parasites and improve overall intestinal health. 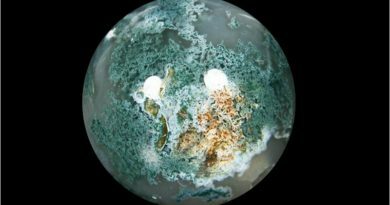 It is also a powerful anti-inflammatory and blood cleanser, and has anti-carcinogenic properties. Dry pineapple skin can also be dried and used in potpourri or to create an excellent body scrub. A vinegar can be made using pineapple skins that is good for cleaning or use as a clothing softener. Pineapple skins are used in parts of the world to make paper. 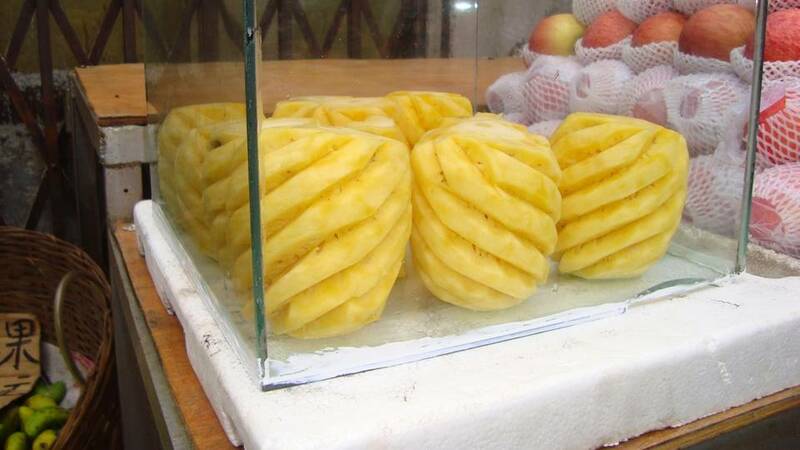 Juice is often strained from pineapple skin and consumed. In Nigeria, pineapple peel and hibiscus flowers are used to make a beverage called Zoborodo, and in Mexico pineapple peels are fermented to make Tepache which is also a beverage. Pineapples have amazing health benefits. They are high in fiber, and contain plenty of vitamin C which can help fight off cough and cold. Pineapples also contain Bromelian, which is a cough suppressant and can help loosen mucus. 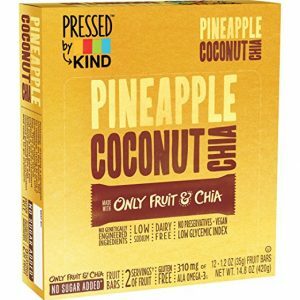 A cup of pineapple contains 73% of the daily requirement of manganese, which can help with bone health. Because of its startling resemblance to pine cone, Spanish explorers called pineapple Pina de Indias. Pina de Indias means "Pine of the Indies," because it is in the West Indies are where Spanish explorers first happened upon Pineapple. 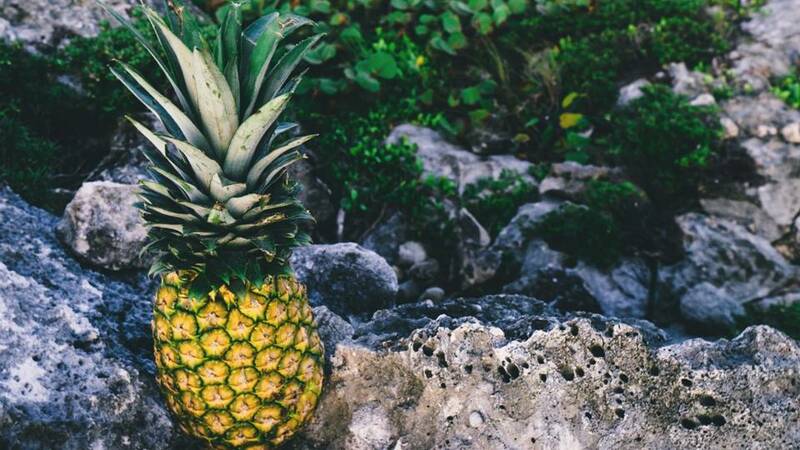 “Apple” was later added to Pineapple's name by Europeans, but the Natives to the West Indies originally called it na-na, which is where its botanical name comes from (Ananas Comosus). 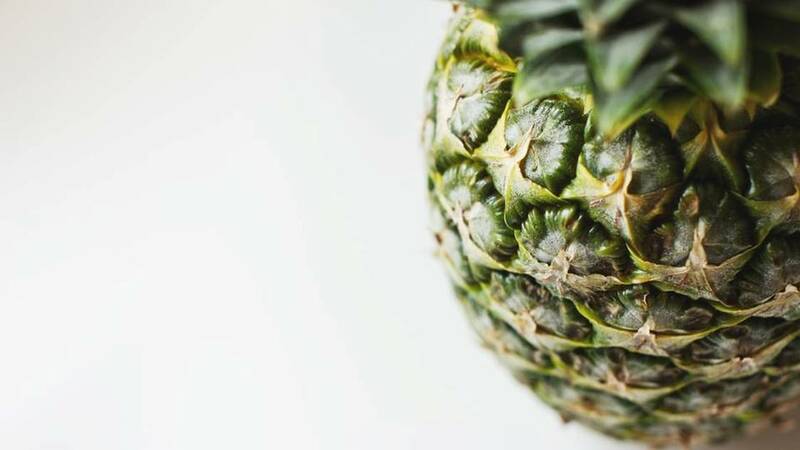 To check if a pineapple is ripe, tap it with a slight thump – it should give a dulled sound. If it sounds hollow it is not ripe. 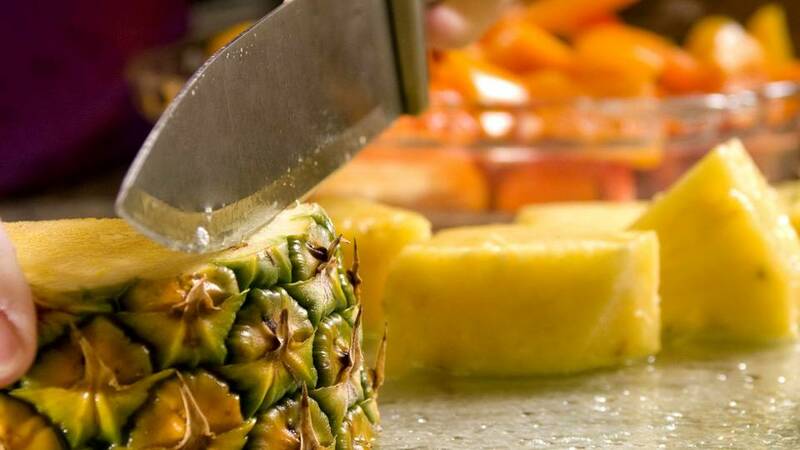 A ripened pineapple will also lose its spikes quite easily. Pineapples do not ripen once picked, and their peak season is April to June. 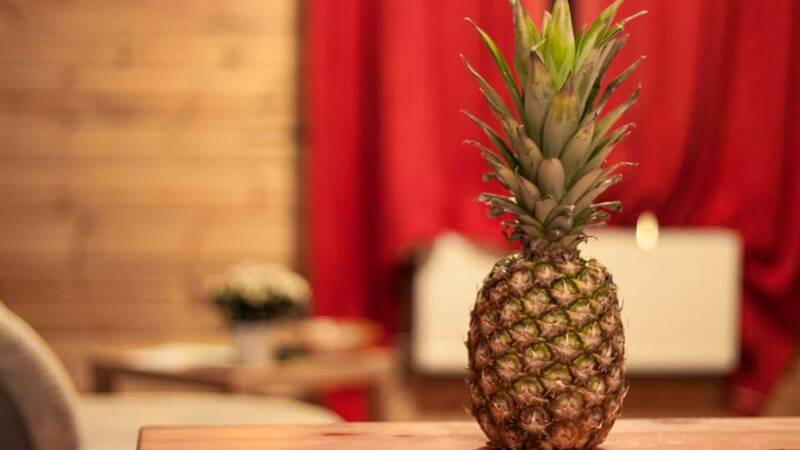 Pineapple’s exact location of origin is unknown. It is believed to be native to a region near Central and South America, and the Caribbean Islands, more specifically, where Argentina, Brazil and Paraguay meet. After being discovered in these areas, Pineapple seeds were traded and traveled with merchants during the 16th century to areas such as Hawaii, countries in the Pacific, and the Eastern Seaboard. What are Your Thoughts On the Magic of Pineapple Fruit? 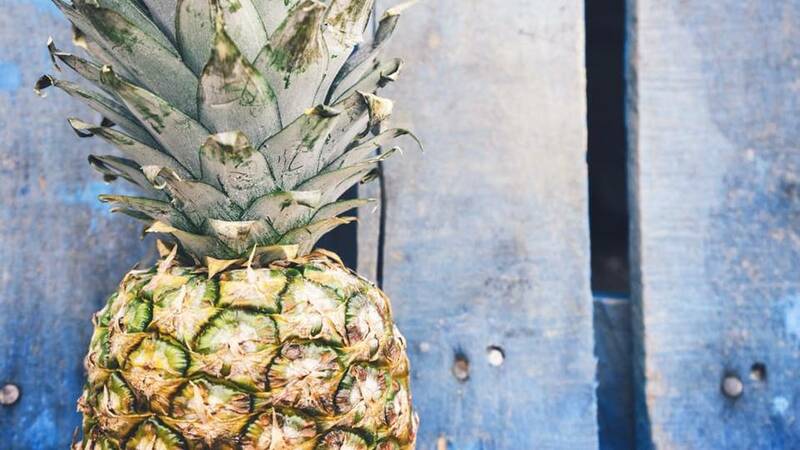 What brings you to our article on Pineapple's Magical Properties? 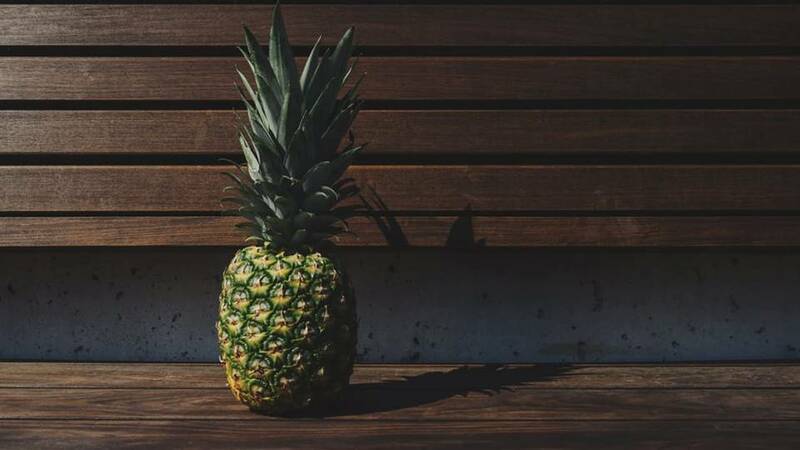 Do you have any new ideas on how to use pineapples in magic and spellwork? What other plants (or fruits) would you like to learn the magical properties of? We'd love to hear your feedback! Roehl, E. (1996). Whole Food Facts: The Complete Reference Guide. Inner Traditions/ Bear and Co.
Okihiro, G. Y. (2009). Pineapple culture: A history of the tropical and temperate zones. Berkeley: University of California Press. "Pineapple." Wikipedia. Wikimedia Foundation, n.d. Web. 15 Aug. 2016. "Food Magic for Witches." Witchcraft Pagan Wiccan Occult and Magic. N.p., n.d. Web. 15 Aug. 2016.